Graphic design plays an incredibly important role in marketing. Whether a small or medium business wants to improve brand identity, get a new ad, cover or brochure, it has to leverage the power of custom graphic design. Needless to say, graphic design is also important when publishing new content on an official website or leveraging the power of digital marketing. 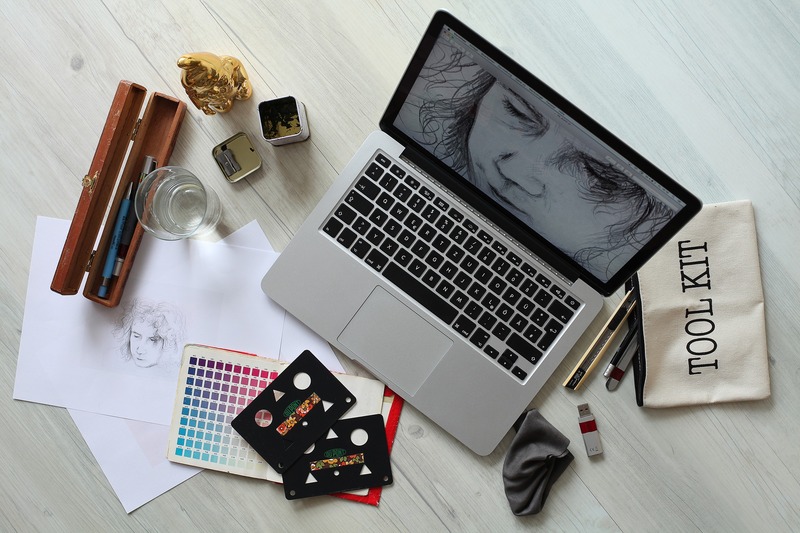 Since having an experienced graphic designer on a payroll when on a budget is practically impossible, we offer you two ways to deal with a graphic design when your funds are limited. Since outsourcing is one the leading trends in the business world, getting the graphic design services from a third-party company stands as a viable solution. Your visual content’s purpose is to make your company stand out from the crowd, and there is no better way to achieve it than by getting the best people to do the job. Now, you might be confused about how you can get the best talent when on a budget. There are companies that specialize in providing graphic design services to small and medium businesses, and these tend to correct their prices for the target market they intend to serve. For a fraction of the price, you will get access to top talent creative graphic designers’ familiar with the newest trends in your industry, and fully capable of using the latest design tools to provide you with a custom tailored graphic design that reflects your branding and marketing strategy. There are few things to check before you outsource the graphic design to a third-party company. The most important thing is to see if they have previous experience working with companies in your industry. Always make sure to check their portfolio and previous clients to make sure that they have the credibility and resources to meet your demands. Avoid the candidates who have a “We didn’t do that before, but we can do it for you” approach. The same applies for the freelancers we are going to talk about in the next section of the article. There are several platforms online where you can start your search for a freelancer you budget can sustain. The principle is always the same, no matter if you choose Upwork, CrowdSpring, 99designs or anything similar. You will have to specify the job title, add a short description of what you want to get done, type in the amount of money you have in your budget and you are ready to go. In order to pick the best one for the job, you will have to devote some time to this process. Each freelance designer has his/her own style. Make sure to check their previous work in order to narrow down your options to those who have a style that fits in your current graphic design solutions (website, brochure, content marketing, etc.). When looking at their references, make sure to check if they are capable of delivering within your budget and on time. Furthermore, make sure to put them under highly specified contract, which will guarantee you copyrights of all the drafts and designs they provide you. These contracts are common when outsourcing to companies, but with freelancers, you have to practice caution. As you can see, you don’t have to put aside crazy amounts of money to have access to top graphic design talent. Thanks to the internet and the online community today, it is much easier to get more than the average custom graphic design services at affordable price. Just make sure to check the portfolio of out-house graphic designers before you place a project in their hands. Next How Happy Are Tech Employees At The Top Companies?